A quick update in early September since I am in Asia again. 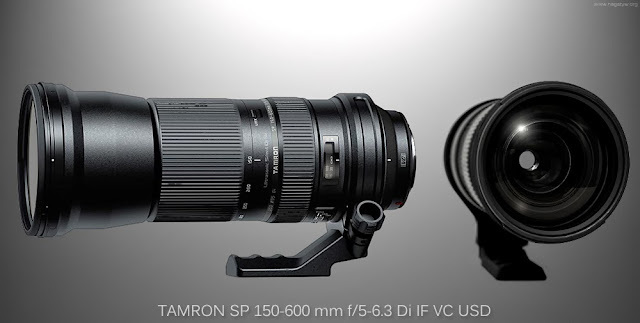 The Tamron lens is still not available in the U.S. but one can buy it here for about $1,250. I first tried this lens 8 months ago and my opinion is still the same. And now Sigma has announced their 150-600mm f/5-6.3 DG OS lens to compete with Tamron. Read the following post to get the details on the Tamron lens. I am currently on a short trip in Asia and managed to get a hold of the new Tamron 150-600mm lens for a quick test. This lens lists for $1,069 in the US and is aiming for the non-professional market. It is slow and light (about 4.3 lbs) but the build quality is just barely above average. The lens is not manufactured in Japan. In short, I am not impressed by this lens, even at the low price, although it can be a good value to an occasional wildlife photographer. It will be discounted to under $1,000 once it is widely available in the US. I will not go into further details and spend a lot of time on it since my purpose is just to get a preliminary feel for this lens. In general, I prefer Sigma lens to Tamron and Canon to both. But for those who do not want to or cannot afford a more expensive long zoom lens and is willing to accept the trade off, this lens may offer them a good alternative. Read my earlier post on Travel and Wildlife lens recommendation. I will gladly buy the Canon EF 100-400mm f/4.5-5.6L IS or the EF 400mm f/5.6L and add an extender (MF only beyond f/5.6 on non EOS-1 bodies) or use the EOS-7D body to get the additional focal length. The best, super Telephoto zoom on the market is the Canon EF 200-400mm f/4L IS USM Extender 1.4x lens. Visit my website MichaelDanielHo.com to see wildlife photos taken with the two Canon lenses worldwide. How does it compare to the Sigma 150-500mm, I wonder. You are right about the Tamron's value but at that price, one must be prepared to give up something. Sorry, I am not a full time reviewer but just so happens I was offered a quick test of the Tamron 150-600mm lens. I'd much rather be out in the field than in the lab.